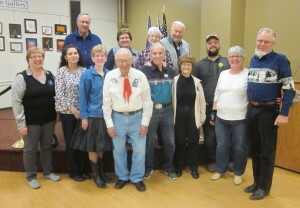 January 23, 2019 – ETTA Square & Rounds Square Dance, St Cloud, Caller Tom Allen. Dancers from Koronis Nite Owls and County Line Squares danced with ETTA Square and Rounds dancers. Dancers with Caller Tom Allen.